By Sarah Hornibrooke, 18 July, 2013. 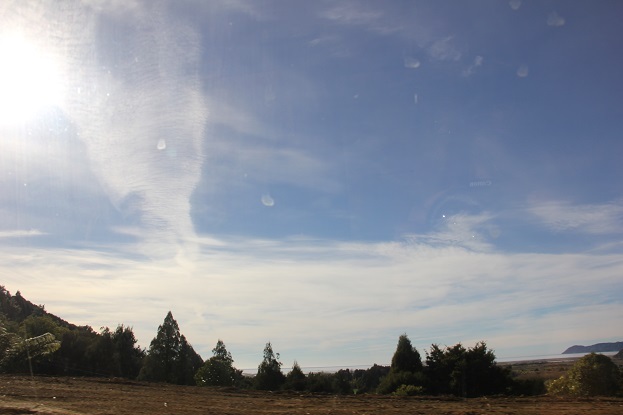 On the 18th of July in Golden Bay, near Nelson, New Zealand there was more full on chemtrailing. What began with a clear sky at sunrise, turned into this within an hour! The pollution was raining down out of the chemtrails. On my drive to town at 8.30am, I saw a short rainbow/ sun-dog near the sun. The first I have seen at that time of day. 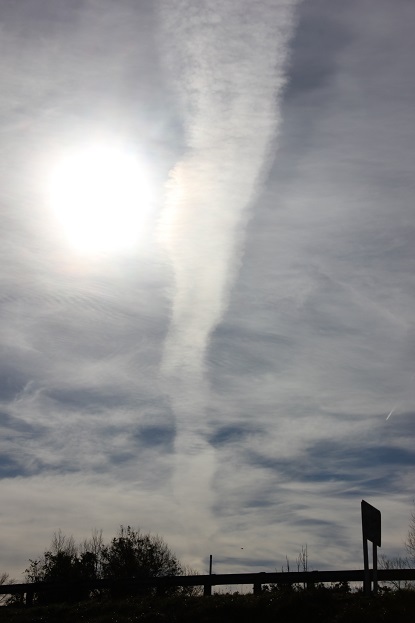 Children pointed out to me one particular chemtrail as a ‘tornado’. The photo below was taken through the car window. 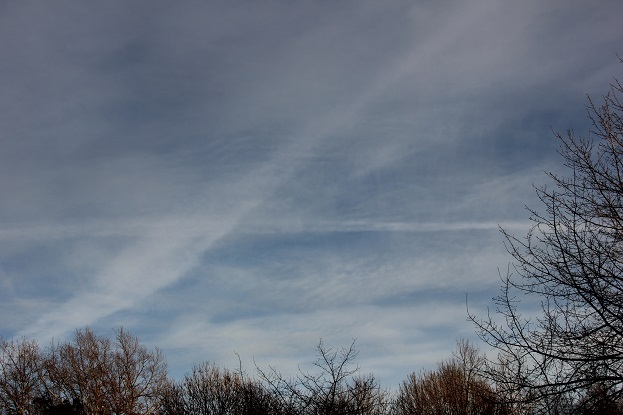 Some aircraft were leaving contrails as well, which were hard to see in amidst all the pollution. 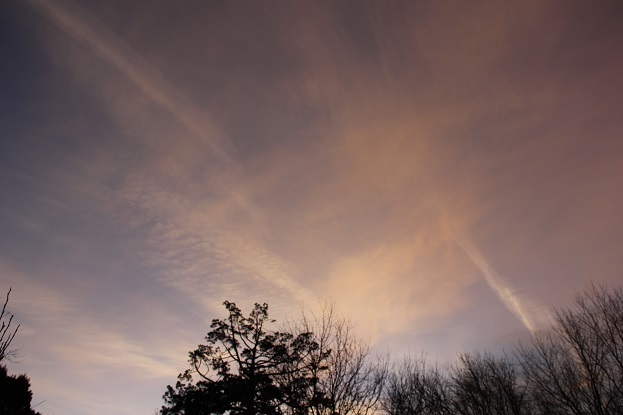 The tiny contrail on the right below shows the immensity of some of the chemtrails and what they where spreading into. This one had been up for about an hour.